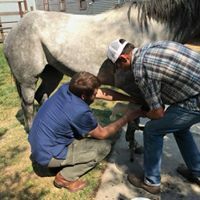 Welcome to the Wallowa Valley and Enterprise Animal Hospital! We look forward to meeting you and your animals. Our Enterprise office is located for easy access from Joseph, Lostine, Wallowa, and the surrounding Wallowa Valley. For those willing to travel for outstanding veterinary care, we also serve the LaGrande and Elgin areas. 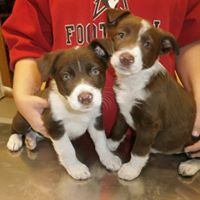 Conveniently located just a few blocks off Hwy 82,(MAP) the friendly staff at Enterprise Animal Hospital welcome you and your animals! 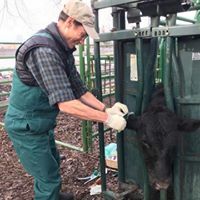 We provide veterinary medicine, surgery, reproductive and dentistry services for your equine, companion animal, sheep, goat, llama, and cattle needs. In addition to routine diagnostic tools, our advanced diagnostics include endoscopy, digital radiology, and ultrasound. We also have a great retail selection of pet foods and products. Each of our staff is dedicated to providing you and your animal with an exceptional veterinary experience. You and your animal friend come first -- compassionate care, extensive experience, product knowledge, and a relaxed setting make Enterprise Animal Hospital a place you and your pet will both want to visit again!